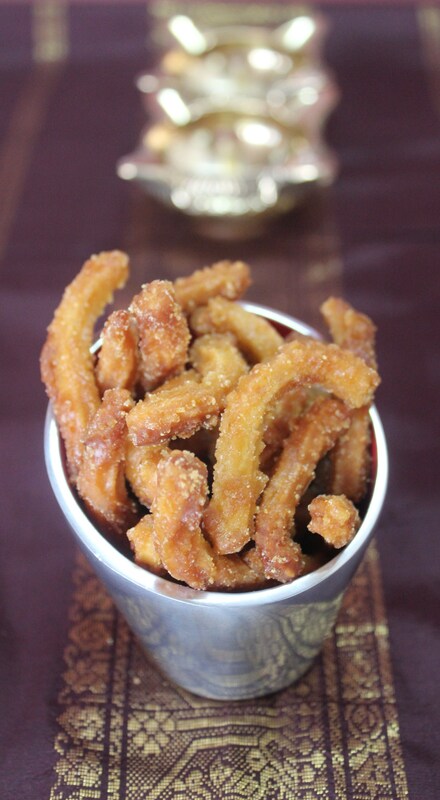 Manoharam is a traditional Tirunelveli sweet. The gram flour fritters soaked in gorgoeus golden-caramelly cane/palm jaggery syrup is a delight in every crispy bite. With healthy Bengal gram flour and no white flour as the base and Unrefined Jaggery and no white sugar caramel for the coating, this is a no nonsense fritter as well as a childhood comfort snack. When asked about the recipe, Amma fondly remembered both me and my little brother, having plates filled with these crispy fritters as an after school snack, giving more emphasis to the filled plates. Those were the days of no botheration of putting on weight, leave alone childhood obesity. We could burn the nutritious extra calories earned from healthy millet flours and cane and palm sugars, with the crazy amounts of time we spent playing in the streets. No store bought chips or cakes, buns or pastries loaded with white flour, white sugar and salt. 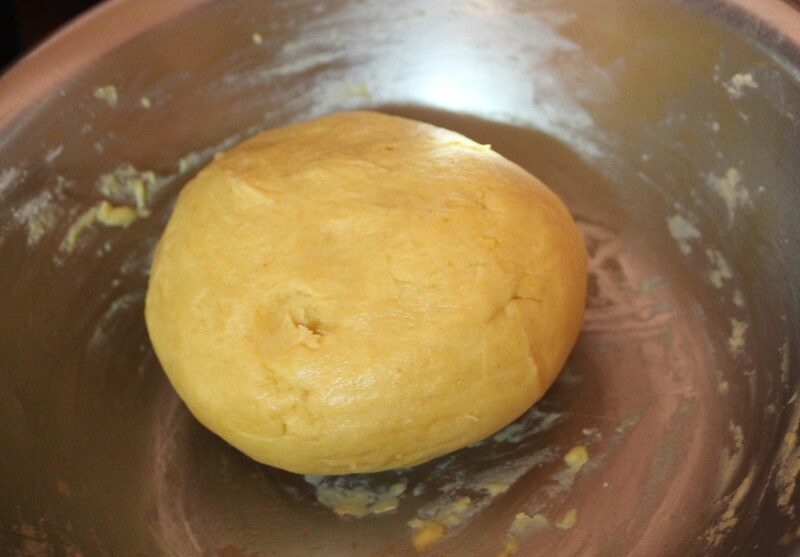 Since I didn’t have the thenkuzhal/plain murukku – fritter disc, I used the magizhampoo disc – which is a sharp edged or star shaped fritter disc. 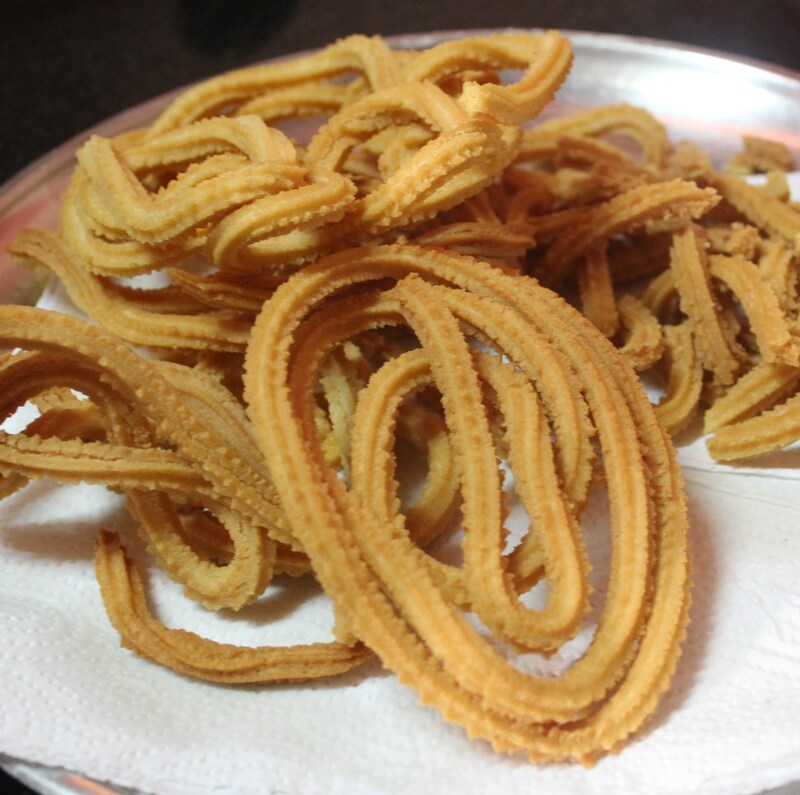 Once the fritters were done, the little chef at home exclaimed that they resembled Spanish Churros, thanks to so many cookery shows in countless channels. That observation was quite a surprise to me indeed. 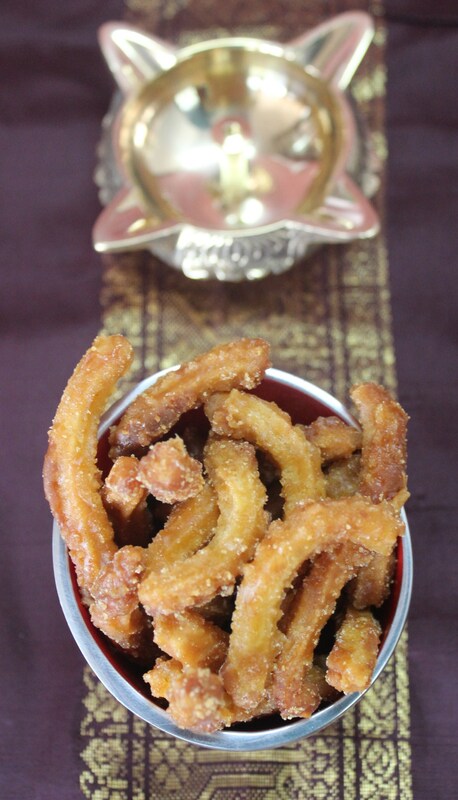 When I put my eyes through her thought, the traditional Manoharam did look like Churros. 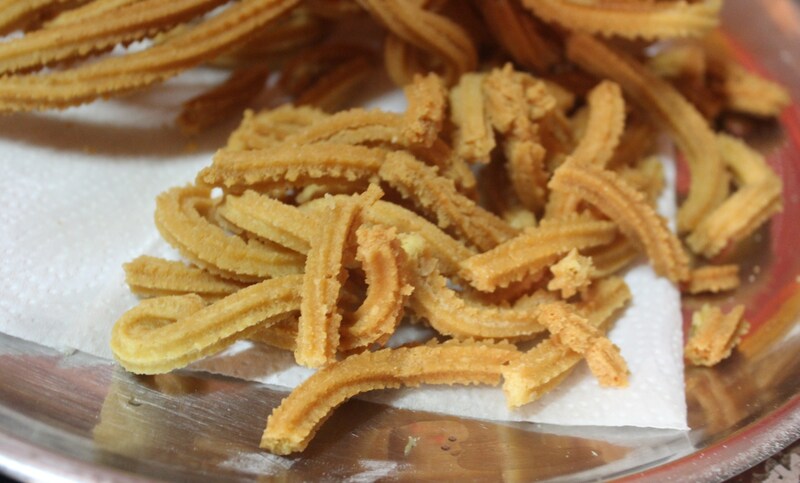 While Churros are made with all purpose flour and coated with cinnamon sugar, Manoharam is made with gram flour, rice flour and a pinch of salt. 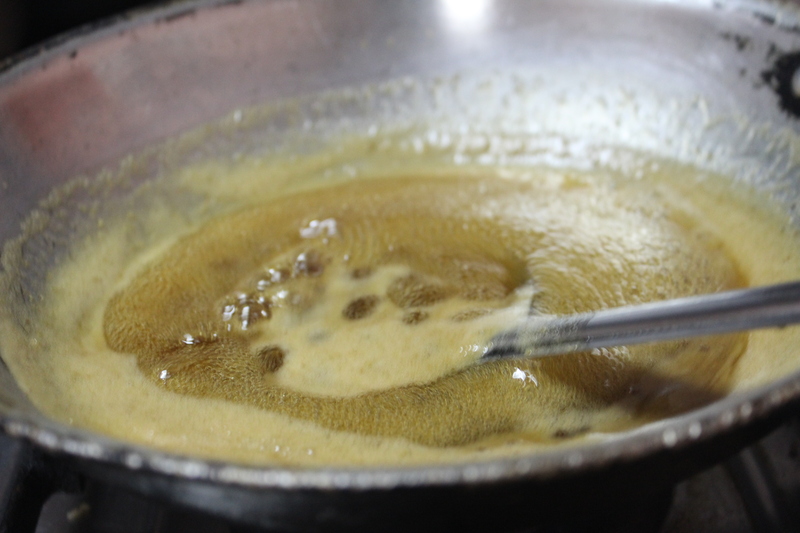 And instead of the chocolate sauce to dip, we coat them in jaggery syrup. Both the tastes are completely different, created with local ingredients available – yet, there seems to be a slight similarity in the concept of making and looks. If you don’t feel so, that’s ok.. let’s move on to recipe. 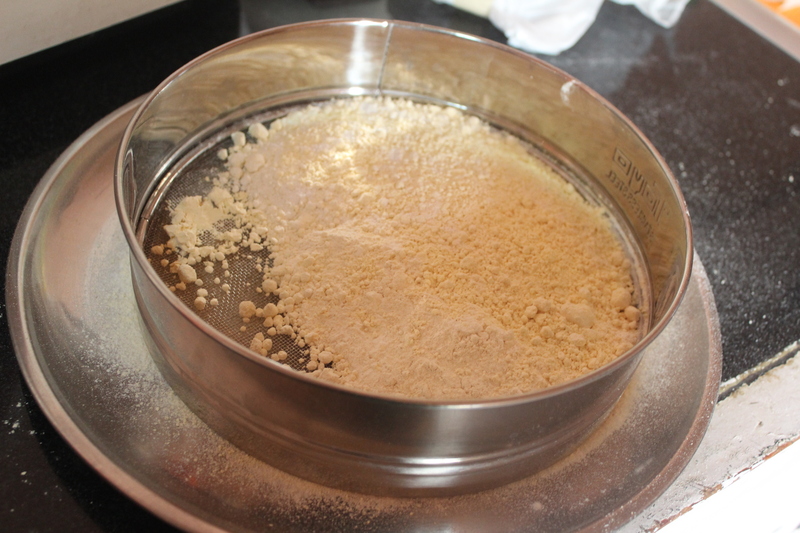 Bengal gram flour and rice flour may be easily available in stores. 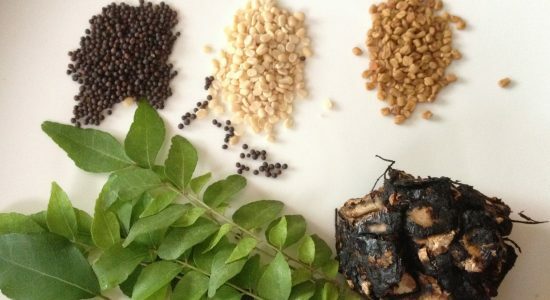 Black gram flour should be made at home. Cool and Store in air tight container, and use when needed. 9. 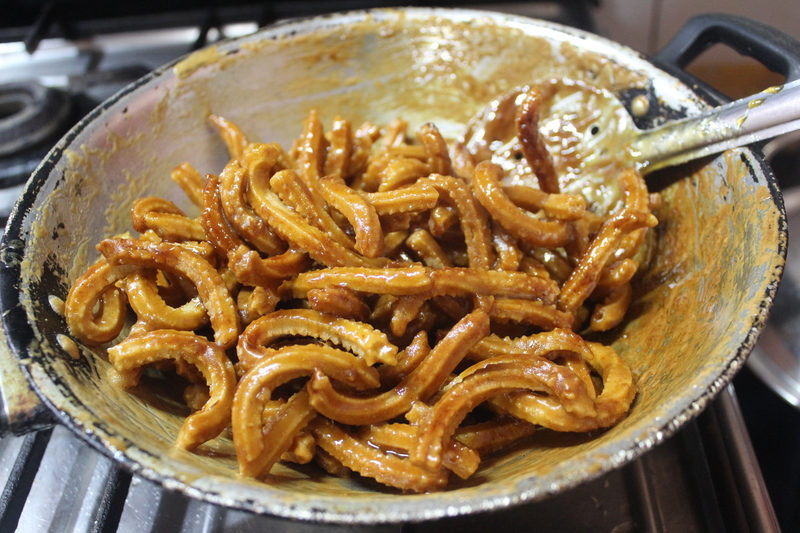 Keep them aside till we make the jaggery coating. 10. 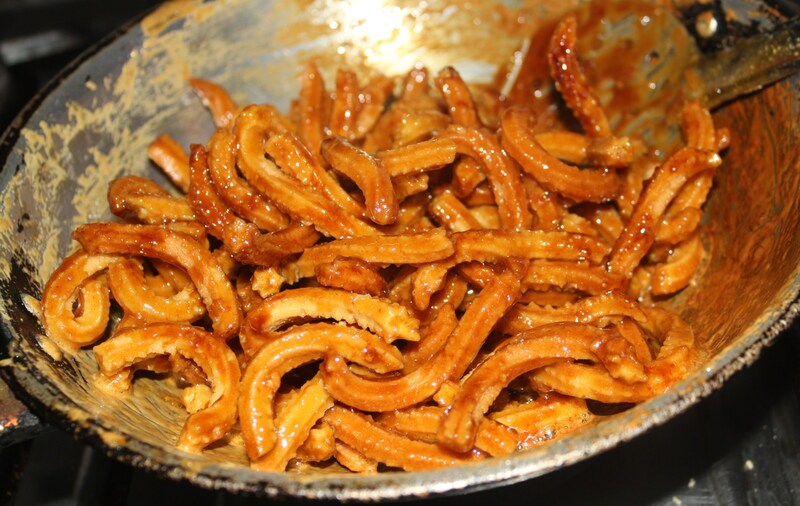 Jaggery coated glowing Manoharam is ready.